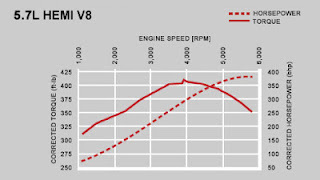 In the specification of the vehicle engine, it has power written in horsepower units or kilowatts at a certain engine speed, and torque with of kg-m or lbf-ft at certain engine speed. What is the relationship between the torque and power and engine speed? In the internal combustion engine, the combustion gas will push the piston which is connected to the crankshaft by connecting rod. Gas pressure provides torque on the crankshaft and rotates the crankshaft. See also: RPM meter (tachometer) functions on the vehicle, how to install a tachometer. Angular velocity ω units is radians per second. For internal combustion engine, maximum torque is not produced at exactly the same engine speed as maximum power obtained. On vehicles that used to pull heavy loads such as truck, the maximum engine power is at a low RPM so that maximum torque is also at low rpm. On vehicles that used for high speed with light load such as sedan and motorbike, the maximum power generated at high engine speed, so that maximum torque is also at high RPM.